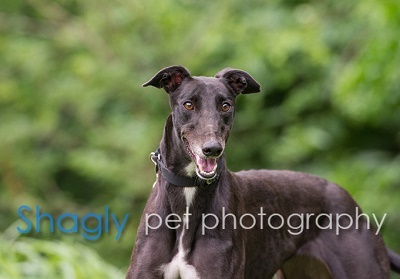 Diamond, aka Hiway Opal, is a 2-year-old black female born June 16, 2014. Her sire is Wigwam Wag and her dam is Kafi's Assassin. Opal is her littermate. Diamond has 6 races on record in Florida in early 2016. 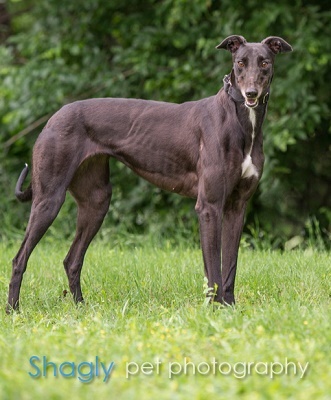 She retired early and went to a home, but was surrendered to GALT by someone who wanted a male instead. Diamond is not considered to be cat tolerant. She is doing great at apartment living in her foster home. 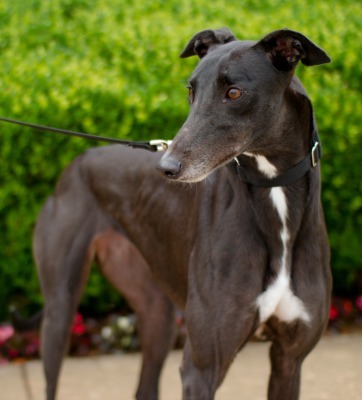 Will Diamond sparkle in your home?